Further topics will follow soon. Bertus Preller & Associates Inc.
Suite 102, 1st Floor, Big Bay Office Park, 16 Beach Estate Boulevard, Big Bay, Cape Town, 7441 and at 39 Plein Street, Stellenbosch, 7600. The Divorce Act in South Africa makes provision for the maintenance of dependent and minor children of divorcing husbands and wives. A court granting a decree of divorce can make any order which it considers appropriate in regard to the maintenance of a child of the marriage. This particular power of the court does not substitute or change a parent’s common law and statutory responsibility to maintain a child. It does not follow that simply because there is a responsibility to maintain there should be an award against the non-custodian parent. In view of the absence of an enabling statutory provision in the Divorce Act or the Children’s Act, a parent of an adult child lacks the necessary locus standi in divorce proceedings to claim an order on behalf of such adult child, that the other parent pay certain allowances directly to the child or certain expenses on his or her behalf. Only if the children on their own have the standing to obtain such claim against the other parents. Nevertheless, in terms of section 7(2) of the Divorce Act, a court, when determining a spousal maintenance claim, need to take into account, amongst other factors, the parties’ respective financial needs and obligations, as well as their standard of living during the marriage. Where the parties have separated and the adult child of the marriage has carried on to live with one parent who has had to use his or her household budget to run the family home and provide groceries for the household, such parent’s responsibility to provide the child with a home, with all that this entails, constitutes an ‘obligation’ within the meaning of section 7(2) of the Divorce Act which can be taken into account in determining the quantum of his or her interim maintenance claim. If a parent has to pay maintenance for a child in terms of a court order, the fact that the child is visiting him temporarily does not entitle him to suspend or reduce the payment during that period, unless the order contains a specific provision to that effect. In the assessment of maintenance for children their needs and the parents’ ability to pay are the primary factors but the criterion of the “best interests of the child” must also be considered. The Maintenance Act provides that a court that convicts a person of an offence in terms of section 31(1) of the Maintenance Act, shall make an order directing any person, obliged under a contract to pay any money to the offender, to make such periodical payments from that money as may be required by the maintenance order. The use of the word “shall” showed that upon conviction a court is obliged to make the order provided that the contractual relationship exists, and the evidence shows that the order will not be impracticable. Such an order is enforceable against a state pension fund. To reade more on Family Law, Divorce and Separation read at: http://www.divorcelaws.co.za South Africa’s Premier Website on Family Law. Be careful, living together may cost you half of your assets when you breakup. Recent case law in South Africa has far reaching consequences for unmarried couples who live together. In one case the court concluded that an unmarried woman who devoted all her time, effort and energy in promoting the interests of both parties by maintaining their common home in raising their children was entitled to 30 % of her partner’s net asset value at the date their relationship ended. In another case an award of more than R 6 million was granted to an unmarried woman who actively helped her partner in building his estate. In the recent case of Cloete versus Maritz case number 6222/2010 and 16433/2012, in the Western Cape High court a judge has made a farmer (Mr Maritz) pay more than R 6 million for leaving his fiancée (Miss Cloete) of 10 years after he downplayed the role she played in building up his businesses and suggested she had illegally occupied his house in Cape Town. After 10 years together, the court heard, how the man deserted his fiancée in March 2009, and by December that same year he married somebody else. Judge Robert Henney of the Cape Town High Court ordered the man to compensate his fiancée just over R6 million within 30 days, failing which his house could be attached. Having been in a relationship with each other, the parties on or about 10 March 1998 agreed to marry each other within a reasonable time after such date. As a result of this, the parties became engaged to one another during February 1999. Cloete alleged that on 24 April and 7 May 2009 Maritz repudiated the agreement by refusing to marry her. It was alleged that he did so by informing her that he did not want to see her again and that he had somebody new in his life. She alleged that the rejection was wrongful an unlawful and she issued summons against him whereby she claimed a 50% share of the value of the assets of Maritz based on a universal partnership, repayment of the sum of R 26,000 which was donated by her to Maritz and R 25,000 for damages for breach of promise to marry her. Throughout their relationship, Maritz and Cloete started various business ventures, both in South Africa and also in Namibia. According to Cloete, she invested considerable time in the businesses, including a farm in Namibia, since Maritz had a permanent job. In 2001, they also bought a house in Cape Town as an investment, and they discussed changing it into a guest-house with the goal of ultimately retiring there. The house was registered in Maritz’s name. In March 2009 Maritz broke the news that he had someone new in his life, Cloete then moved into the house in Cape Town since according to her, she had nowhere else to go. Cloete testified that she later wrote a letter in which she told Maritz she had nothing to her name, even though she had worked hard to build up their businesses. Maritz filed a counter-claim that Cloete was unlawfully occupying the property and requested the court to evict her and also that she be ordered to pay damages to him equal to reasonable market related monthly rental of R 20,000 for 21 months unlawful occupation. Maritz disputed that there was a legally enforceable engagement, or that a universal partnership existed. He maintained that the decision to end the relationship was mutual. He also argued that he and Cloete signed an antenuptial contract prior to their intended marriage, and said this was an indication that they never intended to form a universal partnership. Judge Henney said in his judgement that Cloete came across as an honest and genuine person, who did not contribute to and assist Maritz purely to gain financially, but because of her deep love, affection, admiration and loyalty she had for him. It was clear it was never her intention, when she entered into the relationship with Maritz, to gain financially from it. The impression created was that she was the submissive and the caring partner who at all times acted in (his) best interests,” the judge said. Maritz, on the other hand, tried to downplay Cloete’s involvement, and diminish her contribution to that of an ordinary worker. The Judge felt that Cloete’s role in the partnership was not limited to that of a housewife who tended to the maintenance of the home. He found that Cloete assisted Maritz in executing the commercial undertaking of the partnership. This contribution she made was in addition to the indispensable contribution she made to the businesses where she contributed her skills, energy, time, capital and income to promote the interests of the universal partnership. The judge found further that she contributed her admin skills and know-how for the promotion of the businesses she further contributed to the financial growth of the businesses and as a result of this, they acquired a number of assets during the relationship. Given the relationship they were involved in and businesses, the only conclusion that the court could come to was that a universal partnership came into existence. Judge Henney said in light of the relationship and Cloete’s “inextricable” involvement in the businesses, the only conclusion was that a universal partnership had existed. He ordered Maritz to pay Cloete R 6.166 million, which constitutes a 50 % share in the universal partnership, as well as R 25 000 for breach of promise. Maritz was also ordered to pay costs. Judge Henney mainly relied on the case of Butters v Mncora (181/11)  ZASCA 29, discussed below. A question that needs to be considered is whether there was a universal partnership that existed between the parties. The legal principles applicable to a universal partnership was summarised by the Supreme Court of Appeal in Butters v Mncora (181/11)  ZASCA 29. The Appellate Division held that while cohabitation does not give rise to special legal consequences, a cohabitee can invoke remedies in private law which in this case was based on the law of partnership. In this case, the parties were involved in a 19 year relationship, most, but not all, of which was spent living together. They had been engaged for nearly 10 years, but never married. During the course of the relationship, Butters had accumulated a sizeable estate from his business interests, which included a security company. Mncora had initially worked briefly as a secretary but, at the persistence of Butters, had stopped working to stay at home and care for the couple’s children and Butters’ child from another relationship. Butters had provided for all the financial needs of the family. The relationship terminated abruptly and a dispute soon ensued as to whether Mncora was entitled to any of Butters’ assets, even though she had never been married to Butters. In the trial court, the plaintiff accepted that she had had virtually nothing to do with the defendant’s business and, in fact, had never entered the business premises. She conceded that her contribution to the partnership was limited to caring for the family and running the family home. The legal premise for the majority’s judgement started by recording that “the general rule of our law is that cohabitation does not give rise to special legal consequences”. However, the cohabitee has a remedy derived from the law of partnership and has the onus of establishing the partnership essentials. The path breaking aspect of the judgement is the finding that the partnership enterprise need not be confined to a commercial undertaking and that therefore “once it is accepted that the partnership enterprise may extend beyond commercial undertakings, logic dictates, in my view that the contribution of both parties need not be confined to a profit-making entity… It can be accepted that the plaintiff’s contribution to the commercial undertaking contacted by the defendant was insignificant. Yet, she spent all her time, effort and energy in promoting the interests of both parties in the communal enterprise by maintaining their common home in raising their children. On the premise that the partnership enterprise between them could notionally include both the commercial undertaking and the non-profit making part of their family life, for which the plaintiff took responsibility, her contribution to that notional partnership enterprise can hardly be denied”. In light of the Butters case it appears that if a cohabitees evidence is accepted that “everything was for both of us… we were sharing everything”, this may well be sufficient to prove a universal partnership, even in circumstances where the plaintiff’s contribution were limited to running the joint household and raising the children. The appeal court considered the essential elements of partnerships. Firstly, each of the parties must contribute something into the partnership or bind themselves to bring something into the partnership, whether it be money or labour or skill. The second element is that the partnership business should be carried on for the joint benefit of both parties. The third is that the object should be to make a profit. There are two kinds of universal partnerships; firstly, ones where the parties agreed to put in common all their property present and future; and secondly, those where parties agreed that all they may acquire during the existence of the partnership from every kind of commercial undertaking, will be partnership property. A universal partnership does not require an express agreement. Like any other contract it can come into existence by tacit (unspoken) agreement, that is by an agreement derived from the conduct of the parties. Where the conduct of the parties is capable of more than one interpretation, the test for when a tacit universal partnership can be held to exist is whether it is more probable than not that a tacit agreement had been reached. It is clear that the Butters case broadened the application of a universal partnership, certainly in the case of cohabitees. This has very important practical consequences given the rising trend of people living in domestic partnerships in South Africa. In America for example, 40% of all couples living together are unmarried. In Sweden, 9/10 couples marrying for the first time already lived together and in Denmark, more than one third of women in the early 20’s are living in extra marital intimate relationships. A report recently published in the UK using the latest data from the Office for National Statistics revealed a generational shift away from the institution of marriage, with youths far less likely ever to wed than their parents and grandparents. The research by the Marriage Foundation showed that, for a variety of reasons, 47% of women and 48% of men aged 20 will never marry. In South Africa an increasing number of couples are cohabiting and delaying their walk down the aisle. Given the latest developments in the law of universal partnerships, couples who do not wish to be married would be well advised to consider entering into a written cohabitation agreement to regulate their cohabitation relationship, otherwise separation may just have devastating consequences. Family Law and Divorce Attorney and author of Everyone’s Guide to Divorce and Separation – Random House. Deur Jaco Barnard-Naudé is professor in regsfilosofie aan die Universiteit van Kaapstad. Ons leef vandag in ‘n wêreld van toenemende vloeibaarheid en pluraliteit op die vlak van persoonlike verhoudings. Die een dag besluit jy en jou beste vriend nog om lewenskoste te beperk deur ‘n woonstel te deel en die volgende dag word die platoniese vriendskap iets meer en julle woon voortaan saam as man en vrou. Of man en man. ‘n Paar jaar later besluit julle om te trou. As julle ‘n eendersgeslagtelike verhouding bedryf, moet julle deur die hekke van die Wet op Burgerlike Verbintenisse, 2006, toegang verkry tot die twyfelagtige groener gras van die huwelik. Heteroseksuele saamwoners het ‘n addisionele (en meer konvensionele) wet beskikbaar waarvolgens hulle in die huwelik kan tree – die Huwelikswet van die Jaar van Onse Heer 1961. As julle byvoorbeeld in Tamboerskloof saamwoon en besluit die huwelik is nie wat julle en ander eende van julle dam wil hê nie, hoef julle nie te trou om die verbintenis regtens erken te kry nie: die 2006-Wet maak voorsiening vir ‘n burgerlike vennootskap wat presies dieselfde gevolge as ‘n huwelik het. Ek het al hierdie dinge geweet voordat ek hierdie uiters leesbare en akkurate boek onder die oë gehad het, omdat ek vir ‘n regsfakulteit werk en self betrokke was by die totstandkoming van die 2006-Wet. Vir diegene wat tans in ‘n saamwonery van een of ander aard verkeer, dit oorweeg om een of ander Groot Stap (insluitend skeiding van tafel en bed) te doen en nié in die regsberoep werk of betroubare vriende daarin (skaars spesie) het nie, kan ekEveryone’s Guide to Divorce and Separation aanbeveel. Die titel is ondeurdag. Hoewel die regstema van geregtelike skeiding prominent daarin bespreek word, soos die titel aandui, handel groot gedeeltes daarvan oor die regsgevolge van die totstandkoming van ‘n huwelik of ander permanente saamwoonverhouding. Selfs die gevolge van die totstandkoming van die ouwêreldse “verlowing” (en wat die lô sê oor die verloofring wanneer jy dit in sy gesig terugsmyt) word met erns bespreek. En as lobola deel was van jou huweliksonderhandelinge en jy is getroud ingevolge die Wet op Erkenning van Gewoonteregtelike Huwelike, sal jy interessante dinge lees oor hoe om te verhoed dat jou man se aanhoudende trouery jou nie finansieel benadeel nie. ‘n Groot gedeelte van die boek handel oor die onwillekeurige partye tot ‘n saamwoonverhouding: die kinders. Daar is ‘n omvattende bespreking van wat die verantwoordelikhede teenoor kinders in ‘n gesin is – veral wanneer die ouers se saamwoonverhouding tot ‘n einde kom en ook in gevalle waar Ma en Pa eens saamgewoon, of ten minste saam verkeer, het, maar by geboorte van die kind reeds aanbeweeg het. Die boek stel dit in hierdie konteks direk en duidelik: die kind(ers) sit met die gebakte pere van julle mislukte verhouding sonder dat hulle daarvoor gevra het. Die allerminste wat julle kan doen, is alles in julle vermoë ten einde te verseker dat hulle so onbeskadig as moontlik uit die puin van julle verhouding tree. Bostaande is maar een rede waarom die skrywer (‘n prokureur) daarvoor pleit dat egskeidings nie in litigasie behoort te eindig nie. Daar is merendeels slegs verloorders in ‘n bestrede egskeiding, en té dikwels, waar kinders betrokke is, is dit húlle wat as pionne in die vuilspel gebruik word en die meeste verloor. Benewens ‘n omvattende verduideliking van die egskeidingsproses bevat die boek ook heelwat praktiese wenke vir mense wat deur so ‘n proses moet gaan (waartydens gesinsgeweld nie uitgesluit word nie, daarom die hoofstuk oor laasgenoemde). Dit het my lank geneem om die bul by die horings te pak en hierdie boek te lees, want egskeiding is nooit ‘n aangename onderwerp om oor te dink of te lees nie – ons dink veel eerder aan die feeste van die huweliksdag. Maar as jy jou in ‘n skeidingsituasie bevind (en nie in die regsberoep werk of daarin bevriend is nie), moet jy jou, soos vir enige stryd, hoe gemoedelik ook al, bewapen. En Preller se boek is ‘n sterk wapen. Kry dit. The interesting part of the application was the fact that the mother also asked the court for an order that the father contribute to the child’s maintenance, by the payment of the sum of R3 300.00 per month pending finalisation of the investigation by the Family Advocate into the parental issues and/or until the court made a proper maintenance order. The Applicant was the mother of a minor child of approximately 3 years old and the father of the child was the Respondent in the case. At the time of the child’s birth the child’s parents were in a permanent life-partnership relationship (not married) and thus acquired full and equal parental responsibilities and rights in respect of the child. The parties separated and the mother brought an application in the High Court, the purpose of the application was to confirm and to grant certain rights to both parents so that in the best interest of their minor child, there was certainty in respect of his primary care contact with the child by both parents as well as maintenance to support his basic needs. In her papers the mother averred that the minor child and she had been subjected to harm at the instance of the father who has threatened to remove the minor child from the care of the applicant. The parties were no longer staying together and the child was living in the mother’s care. The court granted leave to the mother to move the court application as a matter of urgency only on the basis that the father wanted to remove the child from her care. The Respondent’s counsel argued that is that the matter was not urgent and therefore the Court could deal with the mother’s maintenance claim in the High Court. The court emphasized the fact that the High Court has always been regarded as the upper guardian of all minors in all matters concerning children. Section 28(1) of the Constitution provides, inter alia, that every child has the right to family care or parental care when removed from the family environment. To basic nutrition, shelter, basic health care services and social services. To be protected from maltreatment neglect, abuse or degradation. It is also important to mention that a child’s best interests are of paramount importance in every matter concerning the child. It is a common practice for some practitioners who appear in the High Court to apply for the dismissal of an application on the only ground that it is not urgent. In this matter the court found that the application was urgent due to the threat that the father made to remove the child. A co-holder of parental responsibilities has the right to apply to the High Court, divorce Court or to the Children’s Court for an order suspending for a period or terminating any or all the parental responsibilities and rights which a specific person has in respect of a child. Or extending or circumscribing the exercise by that person of the parental responsibilities and rights that person has in respect of a child. Such application may be combined with an application in terms of section 23 of the Children’s Act for the assignment of contact and care in respect of the child to the applicant in terms of that section. In other words the parental rights and responsibilities as well as guardianship of a minor child can be brought before the High Court. The parties in this application lived in a permanent life partnership as though they were a married couple. In the event that they had been married, which they were not, they would have been able to make use of Rule 43 proceedings, a mechanism, inter alia, for speedy and effective resolution of maintenance for minor children pending finalisation of the divorce. In this case there was no pending matrimonial action and therefore, in the court’s view, the facts of the case were distinguishable from a situation where the provisions of Rule 43 find application. Notwithstanding the aforesaid the court found that there was nothing preventing the Court from dealing with a maintenance issue even if it is a provisional order of maintenance pending the finalization of the maintenance court enquiry. The court’s view was that in all maintenance matters involving children the court should endeavour to see to it that they are dealt with as expeditious as is practically possible and found that it was not be in the best interests of a child if the maintenance issue had to be referred back to the maintenance court especially when there was already an indication that it will only be dealt with sometime in a few months because of the busy court roll at the maintenance court. It is therefore possible for an unmarried mother to obtain urgent interim relief for maintenance of a child pending an investigation by the Family Advocate’s Office into the care and contact issues of a child. 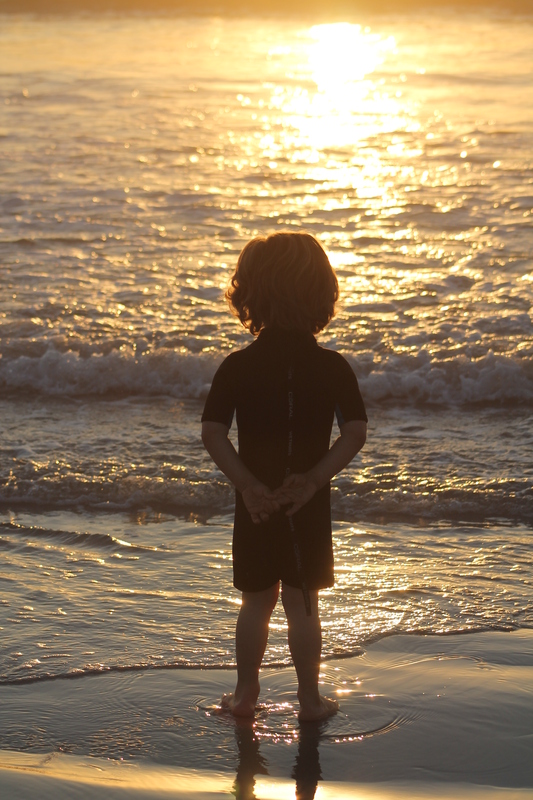 Child participation – can a child choose where he or she would like to live after divorce? 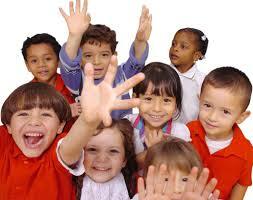 Children’s rights are often divided into prevention, protection and participation rights. The right to be heard or the right to express views are some of the manifestations of the participation rights of children. The right of children to participate or express their views in all matters that affect them as well as their right to be heard in official proceedings are found in various international instruments. South Africa ratified the UNCR in 1995 and is therefore bound by its provisions. Article 12 of the UNCR is the most important right guaranteeing children’s participation in all matters that affect them. “(1) State Parties shall assure to a child who is capable of forming his or her own views the right to express those views freely in all matters affecting the child, the view of the child being given due weight in accordance with the age and maturity of the child. Article 12 (2) is focused on child’s right to be heard in any judicial or administrative proceedings affecting him/her either directly or through a representative. This applies to proceedings when child is the main actor (ie cases of abuse and residency has to be determined) or when child in secondary position (i.e conflict situation related to divorce of parents. Other specific rights include the right to participate in proceedings concerning a child’s legal removal or separation from his or her parents (article 9(2)) and right to participate in juvenile justice proceedings (article 37(d) and 40(2)(b)). The inclusion of these provisions changed the position conferred to children in the past where seen as objects not worthy of expressing a meaningful opinion and their views were not taken into account. The rights in art 12 only extends to those children capable of forming their own views (so it appears to exclude very young children) – but it does not limit participation rights to children of a specific fixed age. It rather adopts a flexible approach in that the right is extended to children that are capable of forming their own views and it recognises that a child’s capacity to form his/her own views varies according to a child’s individual development and capacity to comprehend the events affecting him/ her and is not necessarily dependent on any age. The views of the child is to be given due weight according to age and maturity of the child in question and once it is determined that child has the capacity to form an opinion, the next step is then to determine the weight to be attached to that opinion. The opinion is to be examined according to the child’s age (an objective test) and the child’s degree of maturity (a subjective test). The child’s opinion is to be given “due weight” according to nature of problem and degree of interest it represents to child and others (ie parents, siblings, etc). The more serious and imminent the consequences of the decision are on the child, the more the child’s opinion deserves to be an important consideration. The Children’s Act mentions child participation as a guiding/general principle in the application or implementation of the Act but sets no particular age as to when a child can decide on his/her own, where he/she want to live. Section 10 is not limited only to legal proceedings and hence the principle of child participation echoes throughout the Act it provides for the child to participate in any matter concerning the child, provided that the child is of such an age, maturity and stage of development as to be able to participate. The right to participate should however not place a burden of choice on the child, especially in care and contact situations where a child might feel caught up between loyalties to one or the other parent or caregiver. Substantial care and skill is required to create opportunities for children to express themselves without them feeling pressurised to choose between either their mother or their father, or between a foster parent and a biological parent. The right to participate does not mean the child has the right to demand a particular outcome or course of action. The decision-maker still has power to decide what is in child’s best interests even if it is not what the child wishes provided the decision-maker has afforded the child an opportunity to participate and given due consideration to the child’s views. The right of the child to participate is qualified – limited to children of such an age, maturity and stage of development as to be able to participate. Maturity refers to the ability to understand and assess the implications of a particular matter, and must therefore be considered when determining the individual capacity of a child. Once it is established that child is able to participate – then inquiry shifts to what weight should be given to the view expressed. The more serious the consequences of the decision are, the more the child’s opinion needs to be considered having regard to the nature of the problem and degree of interests it represents to the child. The question when is a child of an age, maturity and stage of development to participate is no quick and easy answer. Each case is dependent on circumstances and personal competencies of the child; the latter is usually a question of fact. Factors to consider are cognitive ability, biological and mental age, level of maturity in comparison to peers, ability to understand and answer questions and comprehend, school grade appropriate to age, etc. The importance of recognising the child’s right to participate is further highlighted in section 31 of the Children’s Act, which deals with major decisions involving children by a person holding parental rights and responsibilities, normally the parents. It provides explicitly that, as far as decisions which might constitute a significant change in the education of the child are concerned, or which have an adverse effect on the child or the general well-being of the child, due consideration must be given to any views and wishes expressed by the child, bearing in mind the child’s age, maturity and stage of development. In this case the applicant (mother) sought an order declaring her primary carer and an order entitling her to relocate with her three children to Dubai. The children were between the ages of 11 and 13. The court recognised the children’s right to be heard in sections 10 and 31 of Children’s Act. The applicant’s experts (psychologists) approached the matter on the basis that children should be relieved of the responsibility of themselves deciding with which parent to live. The Court determined the matter on the basis that the voice of the child should be heard and the relocation was found not to be in their best interest, accordingly the application was dismissed. The applicant (mother) and the respondent were previously married but divorced in 2010. Two sons were born of the marriage, who at the time of the application was 13 and 11 years old. In terms of the settlement agreement concluded between the parties when they divorced, both parties retained their parental responsibilities and rights in respect of the care of the children. The primary residence of the children was awarded to the applicant. The respondent’s rights of contact with the boys were spelt out in the agreement. The applicant was the primary caregiver of the children since the respondent left the common home during May 2008. The applicant applied for an order granting consent for the two boys to relocate with her to Australia. The respondent opposed the application. He also filed a counter-application for an order that, in the event that the applicant leaves South Africa without the two minor children, clauses 2 and 3 of the settlement agreement in the divorce action, which deal with the parties’ rights and responsibilities in respect of the children and with the maintenance which the respondent had to pay for the children, be deleted, alternatively that, in the event that the court granted an order authorising the applicant to remove the children to Australia, that certain specified contact rights with the children be granted to him. A factor which weighed heavily with the court were the views of the children themselves as expressed to the psychologist, the Judge, the family advocate and the family counsellor that they have decided that they want to go to Australia with their mother. In view of the good relationship which they had with the respondent, the decision was undoubtedly very difficult and one which caused them much anguish. The court allowed the mother to remove the children and found that the children’s decision must carry weight and must be respected because of their age, maturity and stage of development. In this case the court took note of international and regional instruments to which South Africa was a party, such as the United Nations Convention on the Rights of the Child (CRC)and the African Charter on the Rights and Welfare of the Child (ACRWC), both of which entrench children’s rights to express their views in all matters affecting them and their right to be heard in all judicial and administrative proceedings affecting them. In this matter the court found that when one is dealing with acrimonious litigation concerning the fundamentally important questions of where a child shall live and who shall be responsible for his/her principal day-to-day care and the central decisions concerning their lives, such as schooling, health, religion and the like, and where the voice of the child has been drowned out by the warring voices of her/ his parents, a substantial injustice to the child will result if he/ she was not afforded the assistance of a legal practitioner to make his/ her voice heard. There is a real risk of unduly diluting the child’s right to be heard to one of merely listening to children without affording them a real opportunity to voice their own opinions and to take part in decisions in an age- and developmentally-appropriate way. Children should not only be listened to, but should also be supported in expressing their views – and these views should be taken into account in decision making. By considering the views of children build their self-esteem, create a sense of belonging, increase empathy and responsibility, and lay a proper foundation for citizenship and democratic participation. Bertus Preller is a Family Law and Divorce Attorney and Mediator at Bertus Preller & Associates Inc. in Cape Town and has more than 25 years experience. Bertus is the author of Everyone’s Guide to Divorce and Separation, published by Random House.